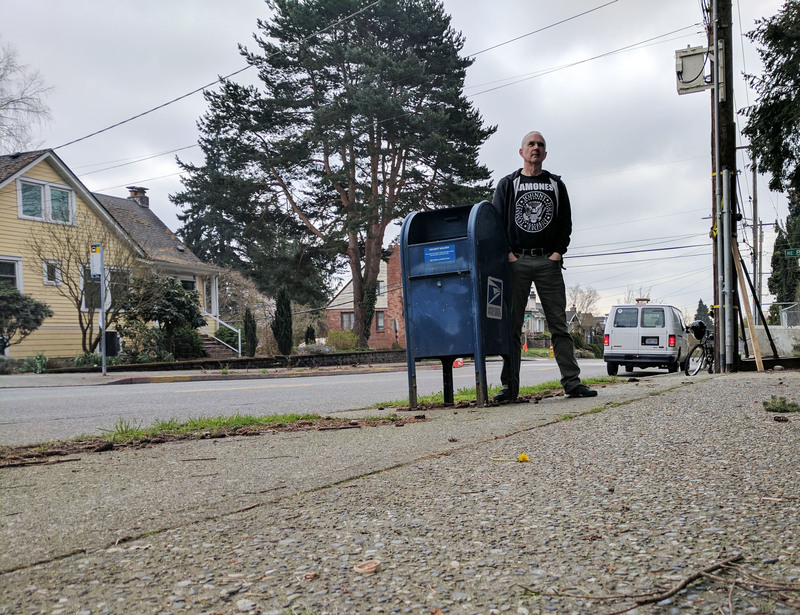 One-by-one, I posed with every publicly accessible blue mailbox in Seattle. This is easily the most meaningless thing I've ever done. 237) If it looks like things are a bit tense between me and this box, you’re right. I’m there with my Ramones t-shirt, and the box turned out to be a die-hard Misfits fan. That sort of thing doesn’t matter to me, but it sure mattered to the box. I got out of there fast.